At J’Organizing, we take the time to really see and understand our clients. That’s how our Home Management Strategy was born. By analyzing data from dozens of clients, we were able to create a unique process that focuses not just on the ‘stuff’, but the process by which it got there. This is how we prevent disorganization from happening over and over again. 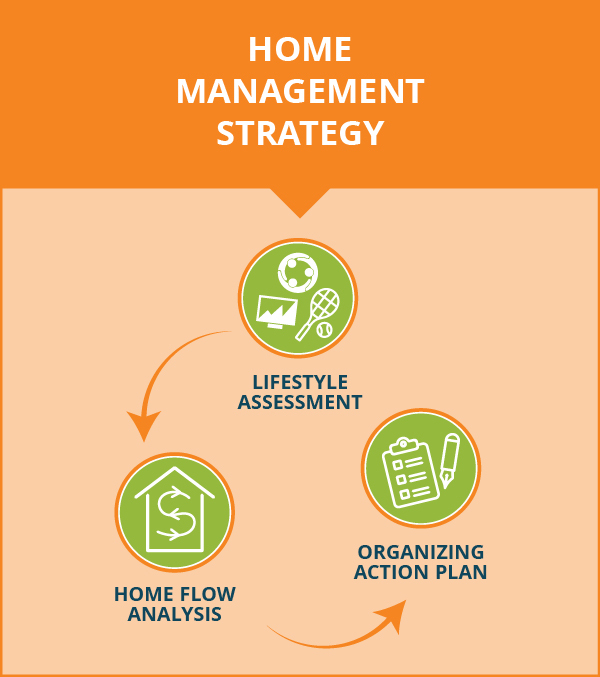 Whether organizing a single room or an entire home, our Home Management Strategy means you’re taken through our comprehensive 3-Step Plan. It ensures that our work is aligned with your lifestyle and creates long term, easily maintainable organizing systems. The final result is reduced stress, renewed pride in your home and more time to enjoy the things you love. Our strategy begins here. By asking a series of questions, some of them outlined below, we have a better idea of how we can best maximize the use of your space. Eg: Do you entertain a lot? How often do you travel, either for business or pleasure? Are you or your family into sports? What do you do for a living? How often do you entertain? Do you do a lot of home cooking and/or baking? Eg: How many kids? Ages? Do you have pets? Are you married, single, divorced, widowed? Eg: How long do you plan on staying in this home? Any plans to sell or rent in the near future? Here we look at the flow of activity within the home. We want to know what doors people are using, who’s using them, and what they’re bringing in and out of the house each day. We’re also looking at how often certain rooms and/or spaces are used, who’s using them and what they’re using them for. After a comprehensive review of all the information, we determine your individualized Organizing Action Plan that includes de-cluttering, product sourcing and customized organizing solutions for you and your family. During our initial purging process, any unwanted items that no longer fit into your lifestyle will be disposed of in the most environmentally-friendly manner, which would include donation to charity, recycling, safe waste-disposal and, finally, junk removal. The last step is to finalize the systems that will put your Home Management Strategy into place. Ready to get started? 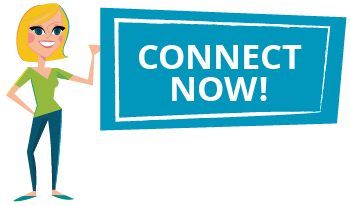 Then connect with us now!